School founder and distinguished educator Emily Johnson had a vision—a school that combined a developmental approach to teaching with an understanding of how children learn. With the support of a dedicated group of parents who formed the school’s first Board of Trustees, that vision became a reality in 1967, when the Common School opened for classes in the parish hall of Grace Episcopal Church on the Amherst Town Common. 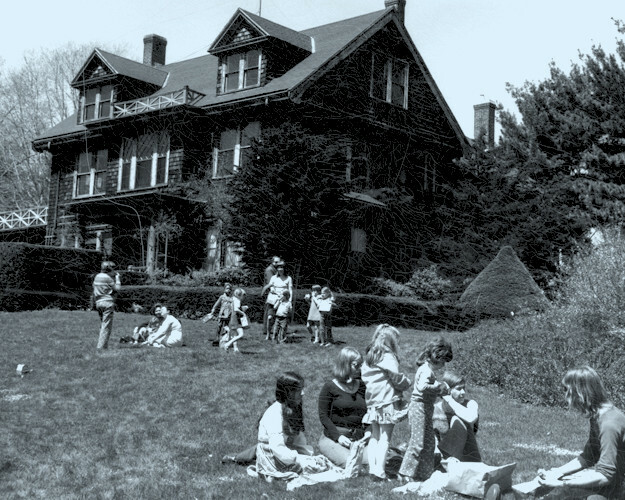 Since then, The Common School’s dedicated parents, teachers, alumni, and friends have supported the School through two relocations and expansions leading to the School’s current home on Larch Hill, just south of Amherst College. Joined by common values and borders, the Larch Hill collaborative shares resources, land, and facilities to enrich their educational programs and promote stewardship of the land. In 2004, The Common School joined with its two neighbors—the Hitchcock Center for the Environment and Bramble Hill Farm—to form the Larch Hill Collaborative. The School shares the use of more than 140 acres of adjacent protected farm and conservation land, where students can experience the joys and wonders of the environment in their very own extended back yard.